Patagonia's smallest wheeled Black Hole® Duffel is carry-on approved and ready for burly journeys. 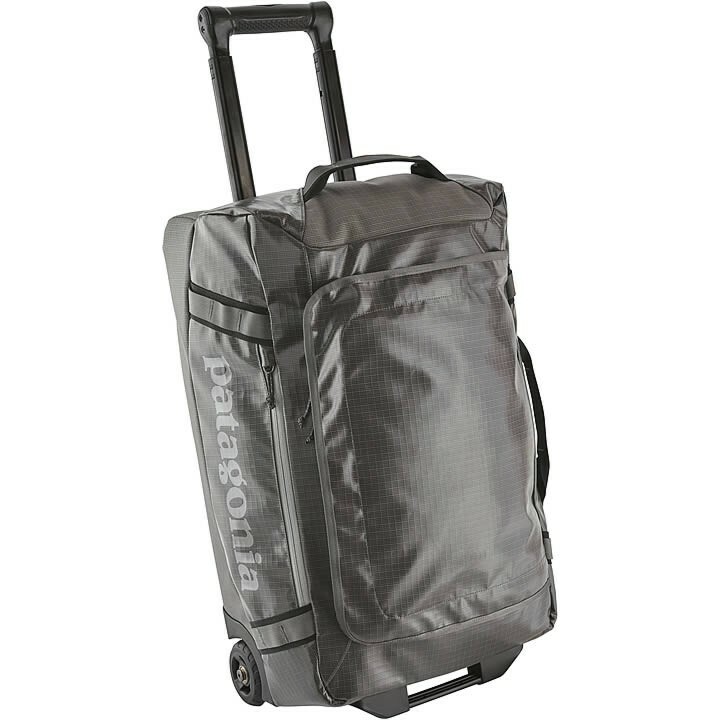 The Black Hole® Wheeled Duffel is a burly, legal airline carry-on duffel with precision handling. Tough and highly weather-resistant, this bomber bag protects your gear from the scuffs and scrapes of wayward journeys. Its zippered U-shaped lid - with two zippered internal mesh pockets on the underside to keep small items organized - offers quick and easy access to the main compartment. A zippered exterior pocket provides a secure and handy spot for your boarding pass, energy bar or paperback. The sturdy frame sheet protects the duffel from baggage-handler abuse and keeps your Black Hole® upright, even when it's loaded to the max. Oversized wheels deliver a smooth ride, whether you're crossing the tarmac or traversing a cobblestone street. Carrying options include the main webbing handles (with snap closure), a 2-position telescoping handle, and the two haul loops on either end. You can lash additional gear to the outside with the 4 corner-mounted daisy chains. Made from 15-oz 900-denier polyester ripstop (50% solution-dyed) with a TPU-film laminate and a DWR (durable water repellent) finish.